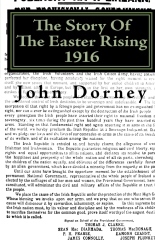 In today’s lead story Eoin Purcell discusses launching “The Irish Story” — an online community focused on Irish History — and its first publication, John Dorney’s The Story of the Easter Rising 1916. One of the things Purcell is doing is competing with the large, established publishers — such as Penguin Ireland and Oxford University Press — who are already dominant in the same space. He wants mindshare and readers, many of whom will likely overlap with the aforementioned brands. Of course, an avid niche reader is — by definition — a better potential resource than is a casual browser. But how can a publisher like Purcell better compete against the big boys? Certainly, having a topic with a “large enough” audience — essentially the possibility of scaling-up — helps. The “community” can then be converted into an “active community,” something that Purcell has worked to achieve. Once active, the participants should be relied on to deliver (new content) and consume (serve as customers and an audience). After reading the article, tell us, what more can he do? Feel free to let us know what you think and offer your advice in the comments.